So You Think You Can Leviim? Well, well, well. Back to hear about the incredible times the chanichim (campers) are having at Machaneh Yavneh (Camp Yavneh), are you? Well, I got some stories fresh out of the machaneh here for you. We’ll start off with Friday. The chanichim woke up to an exciting iyun tefillah (alternative prayer service) and delved into the depths of the morning prayers. Thoughts were shared, and afterwards, cheesy eggs were consumed. The afternoon was replete with slip n’ slide rides and basketball games. And then, that ineffable feeling once again emanated from the very matter constituting our essence as a Jewish people–it was almost Shabbat. As if in a trance, the tranquility and joy of Shabbat caressed the chanichim‘s hearts. The services were unbelievable, the laughs felt eternal, and the smiles seemed permanent on all of our faces. As Shabbat drew to a close, the chanichim had the chance to be with their Kerem (CITs and the oldest aydah (age group) in camp) and get to know them even better. Sunday was shiva asar beTammuz (the seventeenth of Tammuz), a minor fast day that commemorates the siege of Jerusalem in 70 CE before the Second Temple’s destruction. The chanichim were able to chill by the agam (lake), practice for zimriyah (Yavneh’s annual singing competition, happening this year on July 16th and you all should come!!!! ), and hang out in the Beit Am (literally “nation house,” Yavneh’s gym). 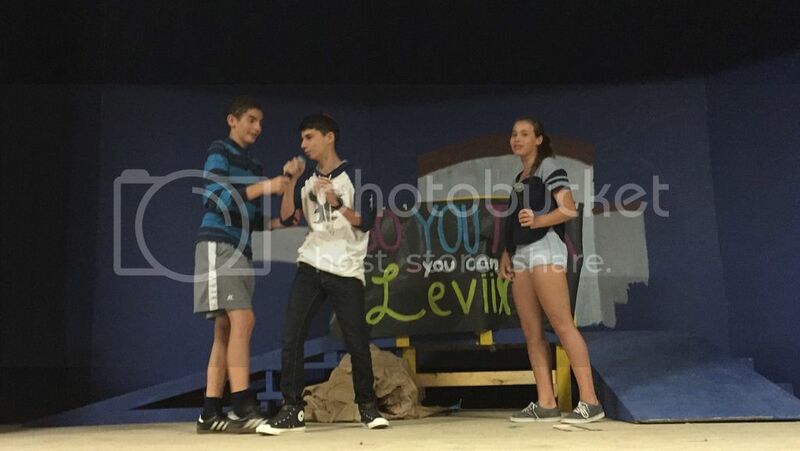 At night, we had a themed activity called “So You Think You Can Leviim.” The chanichim split into groups and made a dance, song, skit, and model based on themes and events from the summer. It was hard to believe that we had such an awesome fast day. As the fasters broke the fast and everyone else ate a late night snack, we remarked over how we were having such an incredible time this summer and that there were so many more great experiences to look forward to.